Darling 3 bed/2 bath ranch situated on a quiet cul-de-sac. Move in ready, Newer carpet, cozy wood Fireplace, light & Bright Kitchen, White Cabinets, Stainless Appliances, Quartz Countertops. enjoy the forced air heat and central A/C. 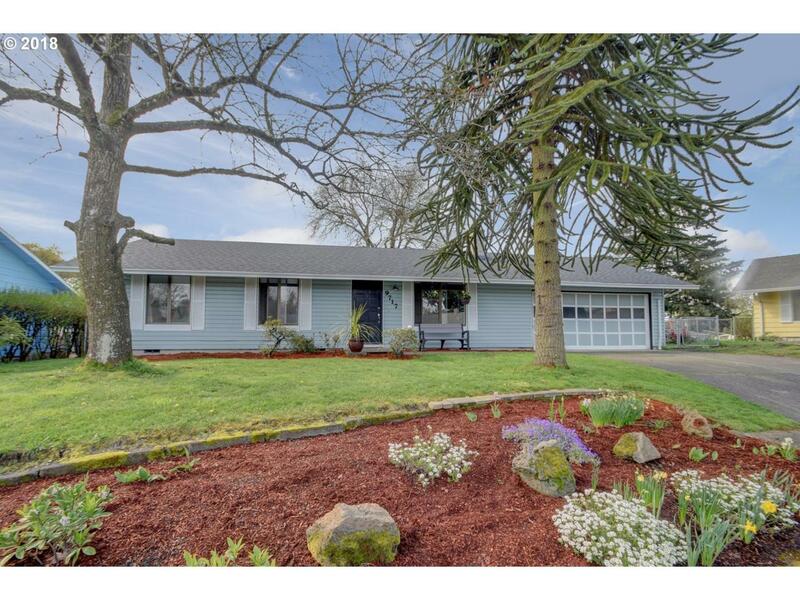 Great Neighborhood with easy access to shopping, hospital and freeway/PDX Airport. Oversized Garage, Great Backyard, side yard for possible RV/Toy Parking. BRAND NEW ROOF! Listing provided courtesy of Sundin Realty.